Today’s guest post is from the lovely people at 123v who make canopies, and this time we’re looking at canopies for domestic homes, a great alternative to extensions and garages. Are you short of space in your home but can’t afford to move or build an extension? Have you nowhere to put your newly-bought, expensive garden furniture for the rest of the year? Have you just purchased a second car but have nowhere to store it? Fear not – get in touch with a quality provider of domestic canopies such as 123v and you’ll have all these boxes ticked and more. A doorway canopy is a small canopy installed over an entrance to your home. You’d be surprised at just how helpful such a simple structure can be: install a doorway canopy and you can get to cover quicker if it’s raining – so no more getting soaked whilst you fumble for your keys; it provides a place to put dirty, muddy shoes and wellies, keeping them dry whilst also keeping your carpets clean; and if you’re a smoker, it provides cover if you wish to have a cigarette outdoors. A car canopy provides your car with protection from the elements at a fraction of the price of building a garage. Your car canopy can be built according to your personal preferences, covering more than one car if you so wish. It can also double as storage for coal, logs and any other useful items you’d rather not keep in the house. The end of summer needn’t stop you from relaxing outdoors for another year – cover your garden furniture with a patio canopy and you’ll be able to enjoy the fresh air whatever the weather. 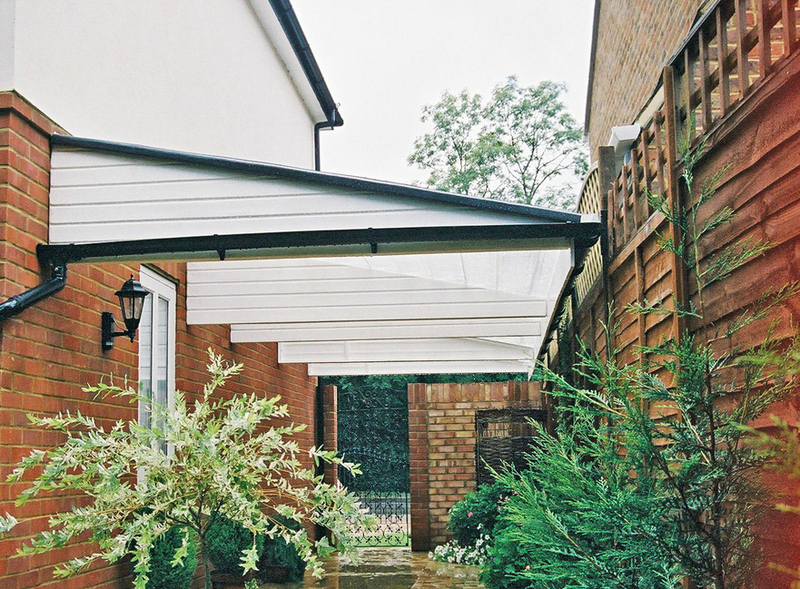 From hosting a dinner party to drying the laundry, a patio canopy combines attractiveness with practicality to provide an outdoor space you’ll make use of all year round.